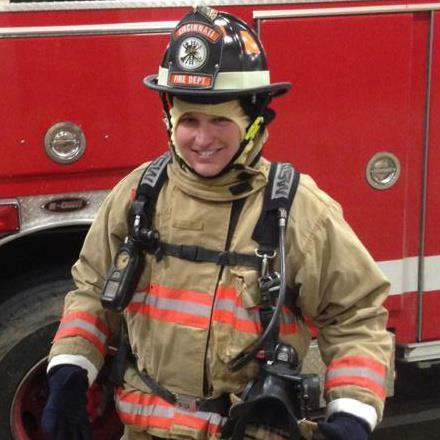 Cincinnati Council Member Chris Seelbach said he learned a lot during his ride along with the city's fire department. He wanted to better understand what's required to be a Cincinnati firefighter. He was part of a 24-hour shift starting Friday morning with Engine 20 in Northside. Seelbach said he didn't see one fire during the period. "They were constantly working on health related calls," Seelbach said. "And the amount of patience and understanding it takes to deal with people, some of which are having their worst day and they're incredibly sick or in some cases they are dealing with a loved one who just died. Or there are some people who are abusing the system and needed to make a phone call, and couldn't go next door and ask their neighbor. So they call 911 and firefighters have to respond." Seelbach also said from a policy standpoint he learned brownouts, or taking a piece of fire equipment out of service because of low staffing levels, have a real effect on firefighters especially district chiefs who must make those decisions. "Knowing that it might add, may add or may not, a minute or 2 minutes to any run, and that could potentially mean if someone lives or dies," Seelbach said. "I realized the decision to brownout one company or another is very stressful for our firefighters. And I saw that firsthand and that was a wake-up call for me." Seelbach posted highlights of his day on his Twitter account. 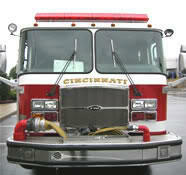 The Cincinnati Fire Department is getting another nearly $6 million federal grant to hire 40 additional firefighters. The money will fund salaries for 2 years. In the last several years the number of Cincinnati firefighters has been shrinking because of retirements and resignations.